Hackers are always looking for ways into other people’s data and information to use for their own benefit. For the past few years the art of hacking has gone beyond attacking a single platform at a single time – malware attacks are in some cases focused on bringing down not just a Windows PC but a Mac at the same time. And more recently it seems that you can lose your Windows to malware fitted to apps that run on cell phones and smartphones, as was observed in the case of the App Store that found malware which was mistakenly tied to an app because the developers system was infected. You don’t just have to worry about spy software for cell phones. GetShell is one of the most well known examples of cross-platform malware that makes its way into one’s system through loopholes in Java. It can hit not just Windows and older versions of Mac Operating Systems but also takes a bite out of Linux when it can. The only way to avoid a problem situation is to ensure that you keep your Java updates in check. Updates routinely deal with backdoors and loopholes that hackers exploit to infiltrate through malware – if you’re updates are on the mark you’re dealing with a smaller vulnerability. If you’re using a version of word that creates a .docx file then you don’t have much to worry about. However, older versions i.e. .doc files originating from unpatched software are susceptible to the malware threat. A patch basically updates your software to repair or remove existing bugs or problems – it’s the same as updating Java so that you don’t fall victim to a hacker’s exploits. The recent App Store fiasco goes to show that, even though it was a mistake, your cell phone isn’t far behind when it comes to helping transmit malware. Malware steal data and information in a number of ways, some even act as keystroke loggers and steal passwords to sensitive accounts. The recent case was more of a mistake on part of the developer because he never realized his infected system would result in malware becoming part of his app – but if it can happens as the result of a mistake, imagine what hackers would be willing to do to accomplish a whole lot more on purpose. 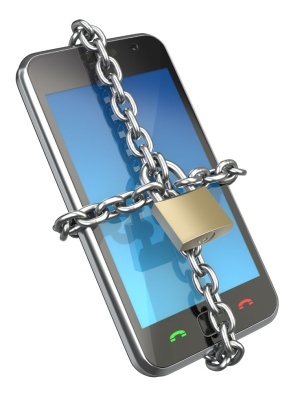 Get an Antivirus for your phone, and your system, along with a firewall, to avoid trouble. For cross-platform malware to work it has to find something in common on both platforms to latch onto. Macs and Windows both support Adobe, and so does malware it seems. A lot of the malware that’s able to flourish through systems gets to do so because users ignore updates. How many times have you hit the remind me later button when Adobe asks you to update the software? It may not seem important but it could end up costing you more than the few minutes you’re supposed to spend updating the software.